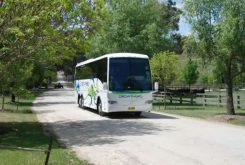 The Coach Charter Specialists in Australia, since 1926. 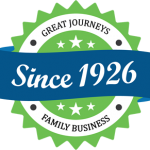 Crowthers Coaches is an all-Australian, family owned Sydney coach company which has operated for over 90 years. Crowthers originally commenced its coach charter operations in the Wollongong/Dapto area before relocating to the southern suburbs of Sydney in the 1930’s. 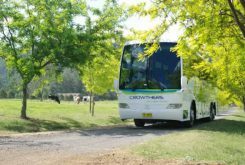 Today, Crowthers operates an exclusive coach charter specialist service, utilising the highest standard of coach carrying out both day and extended tours to various destinations throughout Greater Sydney, NSW and across Australia. No matter what your needs, we can service them. 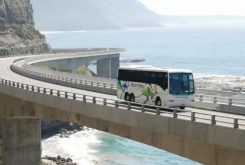 All of our coach drivers are accredited and of the highest standard, employed by Crowthers for their experience and ability as well as their friendliness and high quality customer service. 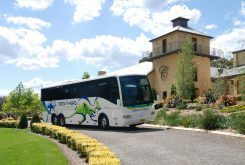 Our coaches are maintained to the highest of standards mechanically, as outlined by Transport for NSW. 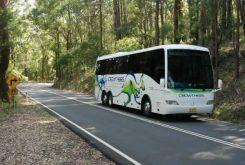 We are an Accredited Tourist Vehicle Operator, as required by Transport for NSW and we are also a member of the Australian Tourism Export Council. Our award winning fleet is made up of Mercedes-Benz 0500RF coaches. 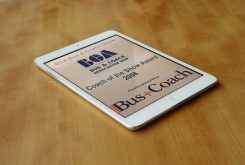 Our luxury 53 seater was awarded the ‘Coach of the Show’ at the 2008 BCA NSW Bus and Coach Show. Owner Paul Crowther was also recognised with the award for ‘Outstanding Contribution to the Industry’, further proof of our overall dedication to the Coach Industry. Crowthers is proud to own the latest Mercedes Benz O500RF Euro 5 series which are complete with Blue Tec – diesel technology that has proven itself time and again. Blue Tec vehicles consume from two to five per cent less diesel than conventional engines, meaning lower emissions of all pollutants, including carbon dioxide. At Crowthers, we take our environmental impact on the planet seriously and rise to the challenge by committing to low-emissions, eco-efficient travel alternatives in a changing world. We do this across our entire fleet. Crowthers are fully accredited members of the NSW Government CleanFleet program, ensuring the highest levels of vehicle maintenance are adhered to, once again highlighting our commitment to the environment. Our objective is to set the standard for transport throughout Australia; minimising emissions and maximising the efficiency of travel.